The Blue Russian is an exceptional cat as we have discussed in previous articles. In terms of behavior, intelligence and habits. When it comes to people with allergies this breed is once again a big winner among our feline friends. Humans some times have, or develop cat allergies as they grow old (the people). There are specific allergens that have been identified by the scientists, these allergens are responsible for the majority of allergies we have in cats. The most common of these are the glycoprotein Fel d 1 and Fel d 4. Fel d 1 is produced on the cat’s skin while Fel d 4 exists in the saliva and but it is also in the whole coat, it is transfered when the cat grooms itself. These proteins, because they are too small, they wander around the air mixed with dust and other particles. Yes that’s right, hypoallergenic cats exist. Hypoallergenic cats are cats who have reduced production of one of the two glycoproteins we mention before. Some breeding companies tried to produce hypoallergenic breeds but with not so great success. Because it’s not only those two allergens that affect the humans and because it is very difficult to eliminate both, the production of Fel d 1 and Fel d 4 completely. Practically people who have allergies should avoid even the hypoallergenic cats because even because even them will trigger their allergy. The only difference for allergic people is that they will have a milder reaction, it’s not that they will not have a reaction at all. The Russian blue coat as we have discussed in another post, is exceptional. Because this breed is naturally occurred in Russia, its fur has adapted to withstand the harsh climate, close to the arctic circle. This dense double coat also protect us from allergens, because it traps more allergens close to the cats skin, so you avoid breathing them and have them around your house (furniture, beds etc.). But it is not only the coat of the Russian blue that makes it good from an allergies perspective. 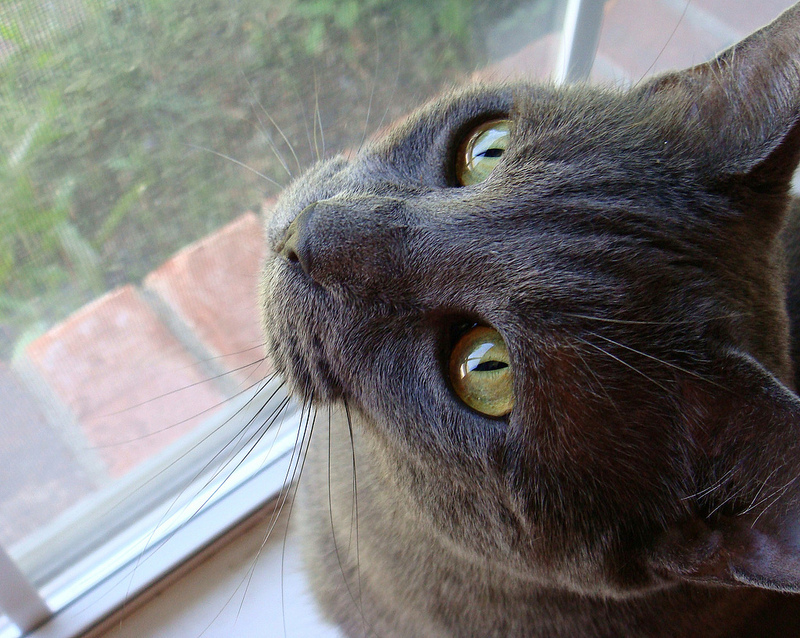 There is evidence that Russian blues produce less of the glycoprotein Fel d 1 which is as we’ve said is one of the most common allergens of cats. This fact, if true, will significantly minimize the allergic reaction you might have to the cat. Even with all these good news, blue Russians are still cats and still produce allergens. So if you want to prevent future allergies for you and your family you should minimize their presence. What should you do? Limit your cat’s access. Don’t let your pet access the bedrooms. Allergens can be trapped in beds, pillows and stay there for looong time. It is important that you keep your sheets clean, since you spend many hours with them. Also it is better for your Russian not to have access to the kitchen so you can avoid allergens in your food. Regular Cleaning. Many people neglect it, but it is obvious that if you decide to have a pet inside your house, you will have to increase the frequency of cleaning tasks around the house, with emphasis in pillows, carpets and stuff like that, which trap in allergens. Keep The Air Fresh. Depending where you live, this can be difficult. People who live in areas with clean air outside, like people in villages with no environmental pollution, they should make sure the air in the house gets refreshed regularly. If on the other hand, you live in a very hot, or very cold, or polluted environment then you have to clean your house from the inside. Using HEPA filters and electrostatic air purifier machines you can avoid a large portion of these and many other allergens wandering around your house. Their cost is not so terrifying as their name, their price starts from $100 last time i checked. 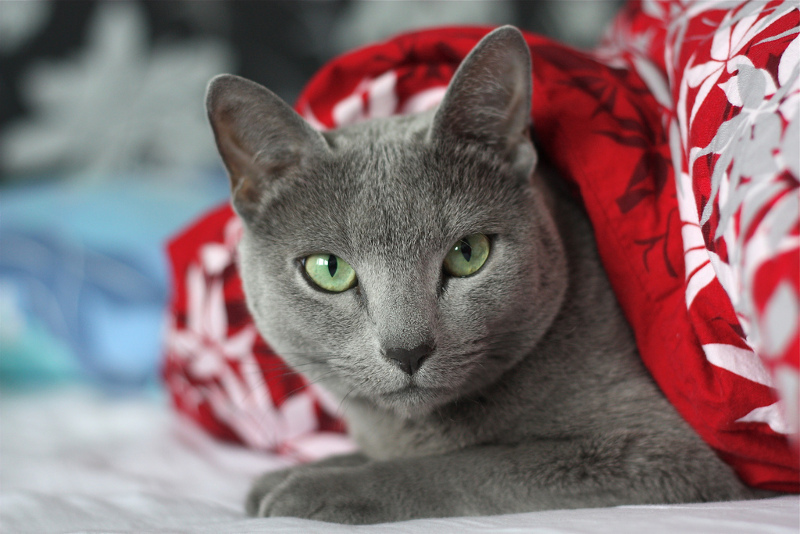 Keep your Russian Blue Healthy. This prevention measure has multiple benefits for your and your cat. The healthier your cat is the less it will shed and produce dander. As you know, cats love to eat fish. It’s nutrients are important to keep your cat healthy. You should keep a high quality diet for your cat. If your budget is not so high to provide your cat with frequent fish meals, you can search for Omega 3 fatty acids supplements for you cat. As you do this you will notice that the fur will become nicer. Fur look is a clue that your cat eats well and is healthy. But it is not only fish, there are many things that a proper diet should include, discuss this with your vet and choose the appropriate food for your Russian. Bathing. Regular baths are not very good for cats, because they can make their skin very dry leading to more shedding in the long run. But baths are good, because they can remove significant amounts of allergens from the the coat of the cat. Always use a shampoo special designed for cats and don’t over do it. Once every 15 days is enough. Brushing. Fortunately, brushing can be done frequently and as often as every day. Regular brushing and combing is a perfect way to bond with your cat and keep its fur in perfect shape. What’s more? Since it removes excess fur it reduces the density of Fel d 4(saliva) protein in the air and coat. Play With Care. Be mindful when you play and touch your cat. Make sure your face doesn’t have physical contact with the cat(No kisses and stuff like that) and always wash your hands after you are done with it. Never touch sensitive parts of your body such as nose, mouth and eyes after, or while playing with your cat. If you are looking to buy a Russian blue make sure you check our Russian Blue Kittens for Sale page and our Russian Blue Kittens for Adoption page. In any case, don’t forget to share and like!